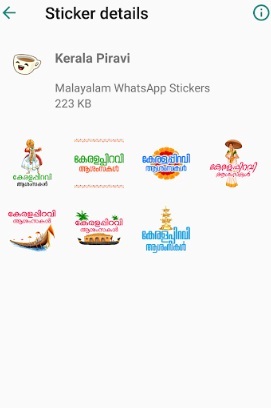 Two Malayali Entrepreneurs has developed gorgeous Malayalam Stickers for all types of celebrations. The sticker can be downloaded from PlayStore and Apple Store. Here's some super cool Malayalam stickers for you to share with your friends over WhatsApp. Enjoy! This app is devoloped by Zeekoi Technologies and it is the most downloadable stickers for Funny Malayalam Comments. 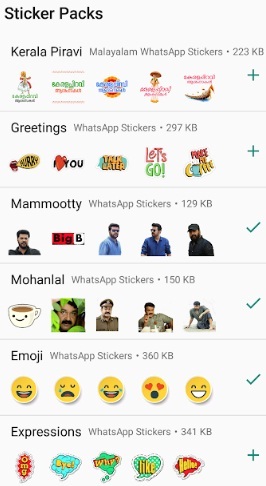 WhatsApp Stickers from malayalam movies, Tamil Movies, Marvel stickers, Malayalam Meme, Troll Stickers and Dialogues.